The Wesleyan Methodist Chapel opened in 1875, two years before the Primitive Methodist Chapel over the road. It became the only Methodist chapel in 1962 and the final service here was in April 2006, led by the Rev Tim Thorpe, minister at Nottingham. 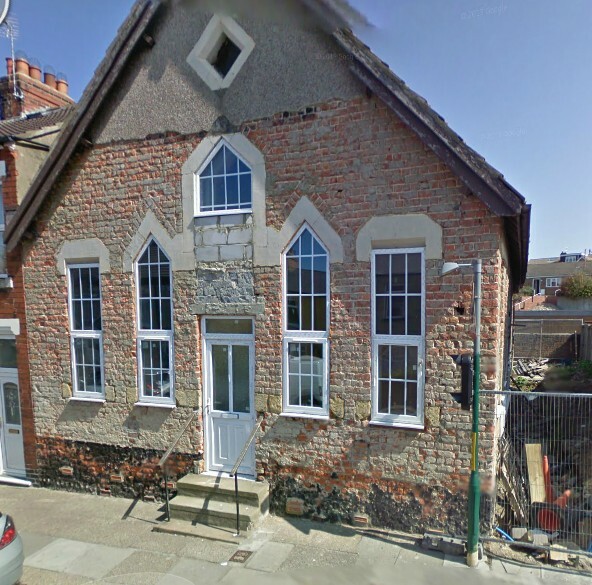 Interestingly the Google Street View images just happened to catch it while it was being converted into housing. Somewhat oddly for a former Methodist Chapel, the developer named the new block of flats ‘St Theresa’s Court’. Wesley will be turning in his grave. The Skelton Methodist Chapel is also heading in the same direction.